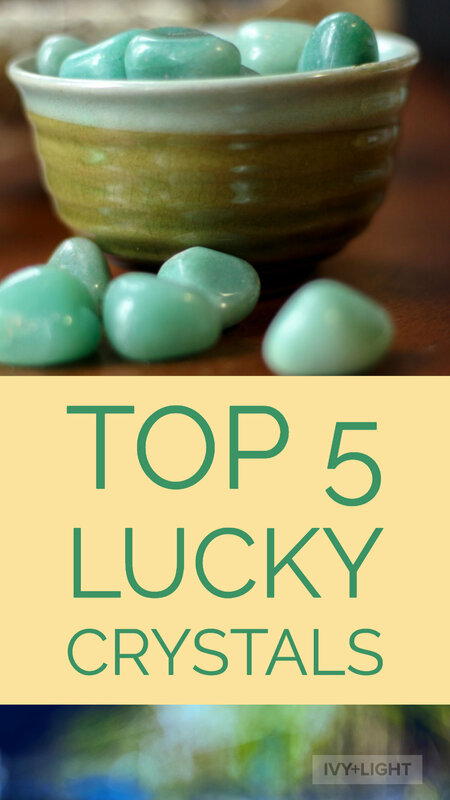 The first lucky crystal that comes to mind is JADE. Since ancient times, jade has been a favorite crystals for increasing prosperity, wisdom and harmony. The way that Jade brings luck is through long term prosperity (not a “get-rich-quick” sort of crystal). It helps you to have the wisdom to build and maintain financial success and balance throughout your life. TIGERS EYE is all about the balance between Grounding and High Vibrations. It helps you stay focused and draw that Abundance into all areas of your life. This is a great crystal to carry around when you need a reminder that all things are working out for good, and all you need to do is show up and do your best each day. AVENTURINE is one of my personal favorite lucky crystals. Maybe it’s because its green reminds me so much of a lucky shamrock. But it’s also because Aventurine is such a wonderful heart crystal, and I do feel that drawing in positive vibrations absolutely begins in the heart. The more we feel deeply that we deserve Abundance and that we desire to create Abundance for others too, the more that positive energy can flow in and out from our hearts and interact with the world in wonderful ways! LABRADORITE is one of the most magical crystals, providing protection, while helping you transform into the person you were meant to be. 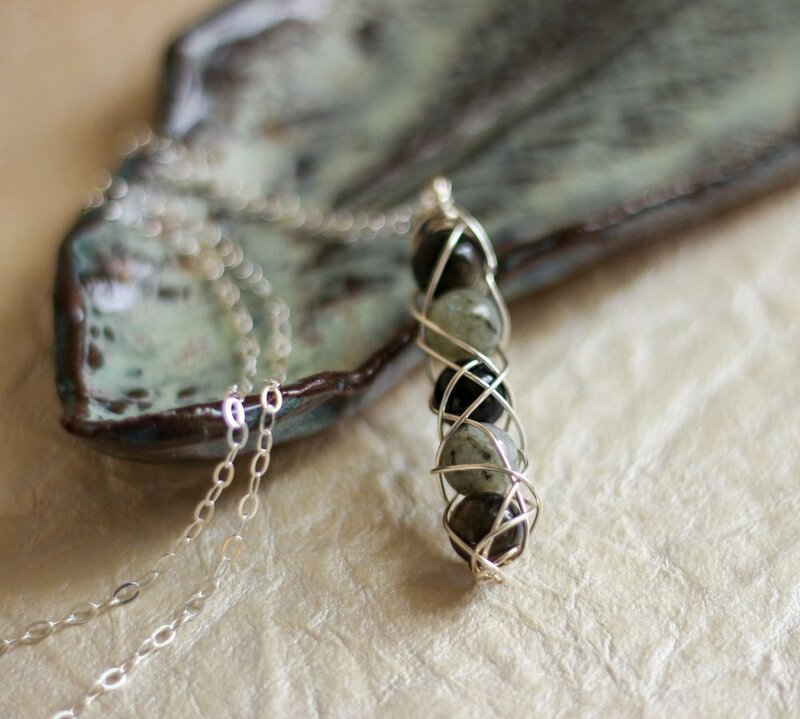 Labradorite helps you live your best life and embrace your highest purpose. Anyone who does that is lucky indeed! It might seem funny that fools gold is a great crystal for good fortune, but it’s true! Shiny golden PYRITE attracts financial abundance, while simultaneously boosting your confidence. When you are shining your brightest, you allow the world to see and appreciate you as you truly deserve! Which of these Good Luck Crystals speaks to you most? Share in the comments!